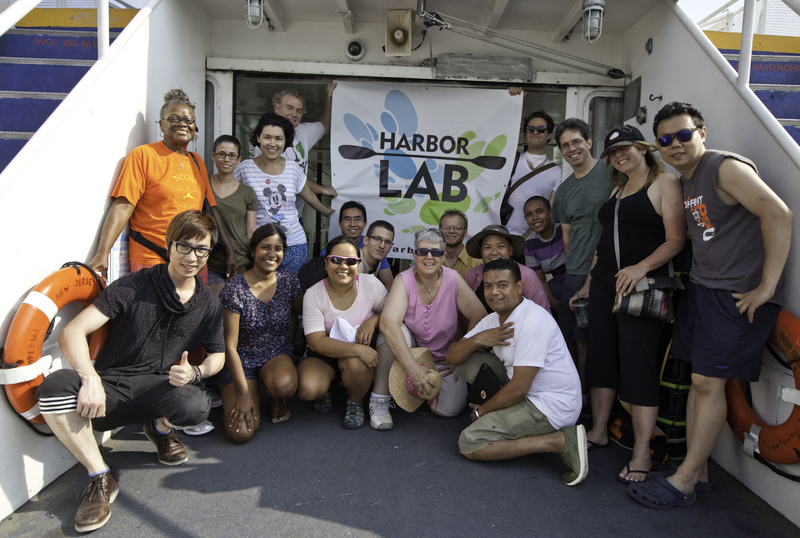 The HarborLAB East River Ferry! NY Waterway is a sponsor of both HarborLAB and the Metropolitan Waterfront Alliance, which produces City of Water Day. 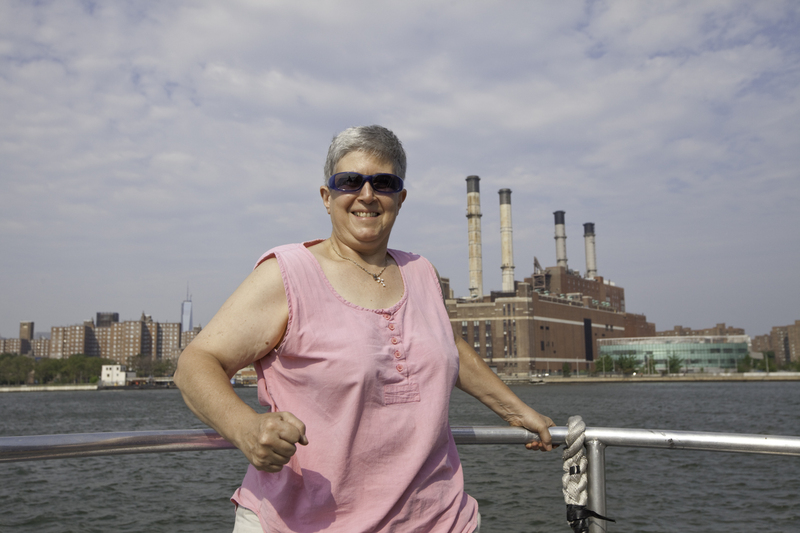 The company also runs special ferries from Manhattan to Governors Island in support of City of Water Day. 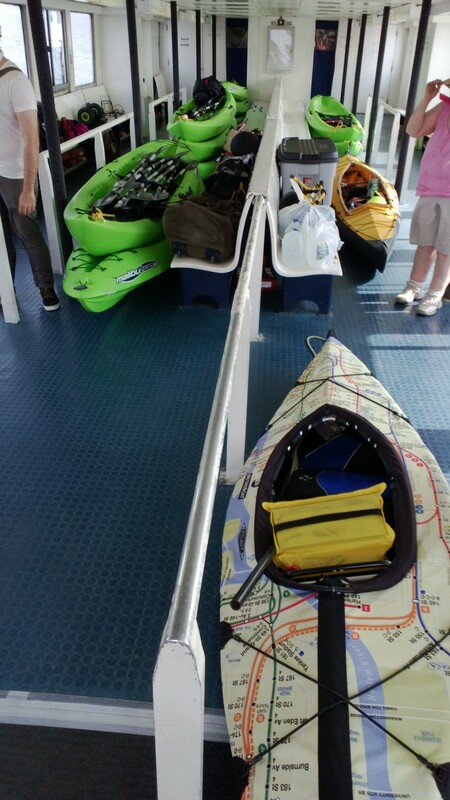 When HarborLAB Founder Erik Baard called NY Waterway CEO Arthur Imperatore and Operations Chief Alan Warren to explain our worries, they kindly offered a special East River Ferry to get our volunteers, educational literature, boats, tables, canopy, and other needed items to the island before 10AM. This also saved us the trouble of delivering some items to City of Water Day producer Metropolitan Waterfront Alliance’s offices in Manhattan. HarborLAB extended this offer to Green Shores NYC, LIC Community Boathouse, Newtown Creek Alliance, North Brooklyn Boat Club, and other waterfront and environmental groups. We were happy to bring longtime Friends of Gantry Plaza State Park and Hunters Point Library community leader Mark Christie among our fellow passengers, along with Claudia Coger, President of the Astoria Houses Tenants Association (thanks to NYCHA Community Outreach professional Howard Hemmings). The ferry captain and crew members were very courteous and kind, and quick! Our gratitude to them too! HarborLAB Operations Manager EJ Lee exults in the morning sun and breeze aboard the special East River Ferry provided by NY Waterway. Somewhere Celine Dion is smiling. Photo by Scott Sternbach. HarborLAB Facilities Manager Patricia Menje Erickson shows her Con Ed pride! Not only is Con Ed a HarborLAB sponsor and a City of Water Day sponsor, but it’s also her employer. Photo by Scott Sternbach. 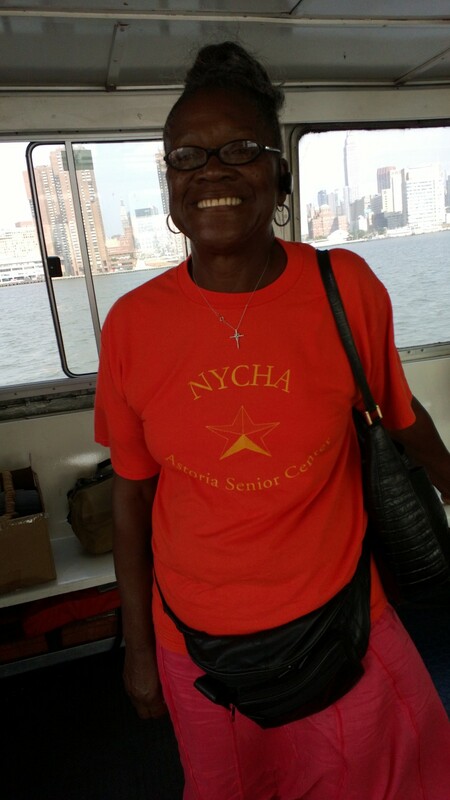 A beaming Mrs. Coger represents NYCHA residents, specifically the Astoria Houses. We’re very grateful to Howard Hemmings for helping HarborLAB learn directly from the community about needs and goals. Boats below deck while volunteers enjoyed fresh morning air. Photo by Erik Baard.